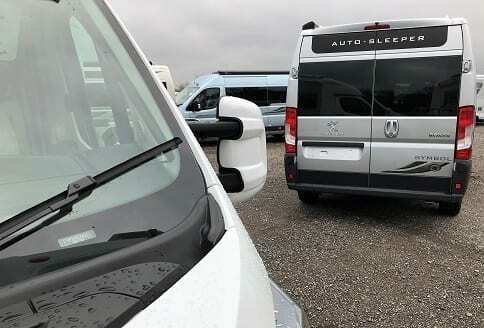 Find more information on Autosleeper Peugeot Van Conversions from your friendly Auto Sleeper manufacturer in Willersey, near Broadway, in the Cotswolds. In the heart of the English countryside. With 7 models to choose from and a (Fiat automatic option). The Autosleeper Peugeot Van Conversions continues in true van conversion traditions. Thus, Autosleeper continues to develop its Peugeot van conversions range. Developing all the knowledge of converting Peugeot Boxer vans. In fact, quite simply they lack for nothing! So, the Autosleeper Peugeot van conversions continue to remain a good seller. Autosleeper Fiat options. In fact, the Autosleeper range is developing, to meet the demand. The Award winning Autosleeper Kingham, continues to be very popular. The Autosleeper Peugeot van conversions range does not disappoint in any way. Also, anyone who is looking for a dual purpose vehicle, needs to take a look. The layouts, the designs and the appearance; Perfect for a family or a first-time buyer. So, stylish in appearance; With excellent airy interiors and popular second hand if you can find them. So, the Autosleeper Peugeot Van Conversions also provides you with options. Hence, to have a Peugeot manual six-speed gearbox or a Fiat automatic. Also, this is a feature that does provide options for anyone who is in need of an automatic vehicle. Because, you get the standard manual Peugeot 160 bhp with a diesel engine. So, if you are in the market for an outstanding van conversion. Therefore, then you should really consider this Autosleeper Peugeot Van Conversions range. Great Features and Layouts. Many names like Symbol, Warwick and Kemerton XL and the Fairford to consider. So, the choice just got better with so many great features. Thus, settle back and look at the Peugeot van conversions video. Also, luxurious washroom, shower areas, extensive kitchen utilities, key bedroom layouts and dining areas. So, van conversions have really become everyone’s favourite an ideal second vehicle. Also, value for anyone wanting to downsize from a coach built and maintain that motorhome experience. Auto-Sleepers Ltd. Orchard Works, Willersey, Near Broadway, Worcestershire. WR12 7QF.